One of the things I like about Lush is the fact that their soaps can be used on both your body and hair. For example, these bath-time soaps can a) fizz up your bath tub, b) lather up a bath pouf c) clean your hair or d) be used as hand soap. Talk about an all in one! Begin by unwrapping FUN from the biodegradable cellophane just as you would an enormous piece of candy. Save the wrapper for when playtimes over. To use as soap or shampoo, pinch off a small bit in your hand (or on a bath pouf) and hop in the tub, lathering from head, shoulders, knees to toes. If you fancy a bubble bath, crumble a small chunk under a warm running tap for mountains of suds. Previous Post: « Remember That Diabetes Test? Yeah, I Failed It. 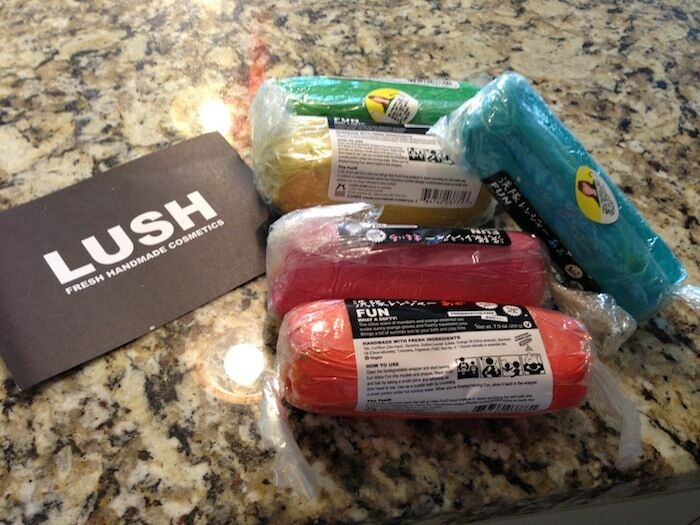 OMG I am OBSESSED with Lush. Obsessed. When I was in Santa Monica this summer I FRIED myself silly and walked over to the Third Street Promenade because I remembered walking by this store. I went in and they helped me find the most amazing stuff to help my burn. In the process, I bought a bunch of things to try (like a to-die-for face mask). I figured I’d get hooked and then never be able to find the products near me when I flew back home. But I did find one about an hour away. I love every single thing I’ve used so far. I haven’t tried the cosmetics really, just the various body creams, face masks, etc. LOVE LOVE LOVE. Hello! 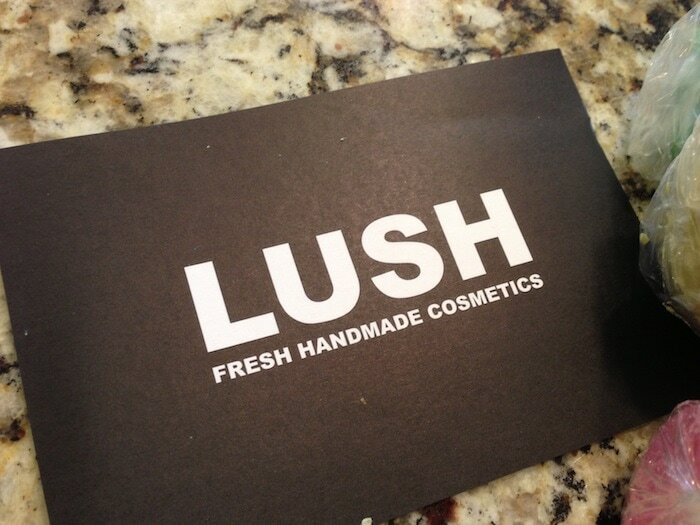 This is my favorite skin and body care company of all time. I’ve been using their products since before they came to North America. Discovered them in London while roaming Covent Garden. OBSESSED.